It’s usually recommended doing some kind of physical exercise three times per week if you want to lose weight or to tone your muscles. I will share with you some tips on how to burn fat without exercise when you don’t have time to visit your local gym. Studies in the field have shown that if you sleep less than 5 hours per night for a more extended period, your metabolism slows down burns. The ideal number of sleep hours: you should sleep between 7 and 9 hours per night. Sometimes I forget of myself, and I’m going to bed really late. I fool myself saying that I’ll recover during the weekend, but there is no such thing as ‘recovering’ the sleep. Keep watching your favorite movies or shows, but just stop watching in front of the screen, switching from one channel to another. Again, studies have shown that adults who have halved their time spent in front of the TV burned around 120 calories a day more. I combine watching my favorite movie or series with walking on a treadmill, so it’s a win-win situation. Even if you do not like it and prefer to delegate it to another family member or housekeeper, vacuuming, dishwashing or dust removal are activities that help you burn calories and give you a sense of satisfaction. 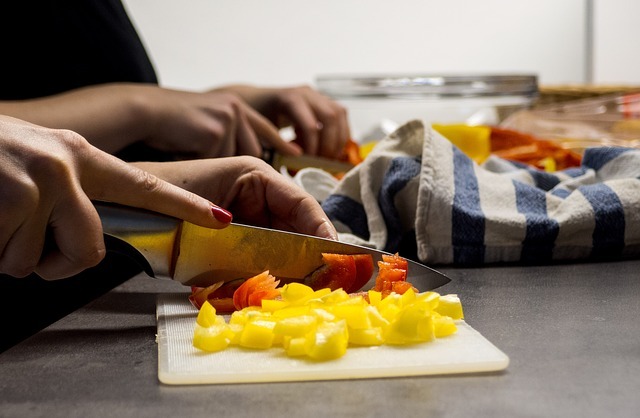 It is certainly much easier to buy semi-prepared meals or directly from the restaurant, but besides reasons regarding health, think of all the calories you burn in the preparation of food. The next time your office colleagues invite you to join an afterword gathering, accept! Bowling, karting or other fun games will make you burn about 200 calories per hour. Set as your goal to walk 10,000 steps a day. That’s about 8 km, depending on your weight and age. And, depending on these variables, you can burn between 250 and 600 calories a day. I use an excellent app called ‘StepsApp’ where I set my daily goals: 10.000 steps and 300 calories. The 10.000 steps are done in about 2 hours with 350 burned calories, and 6.5 walked km, but as I mentioned each person can reach the daily goals with different parameters. Perhaps you have not noticed, but thin people tend to move faster, while overweight people perform the same tasks much slower. There’s no secret: move your body faster and burn more calories. Apply this method when walking; a power walk will burn you more calories than a regular walk. If you can, do not sit down while talking on the phone. At home, you can walk from one room to another, at the office you can take a tour around the building. You burn 50% more calories when you stand than when you sit down. Stress causes your body to secrete a hormone called cortisol. The hormone causes your body to store calories as fat. You have to be relaxed if you want to lose weight. 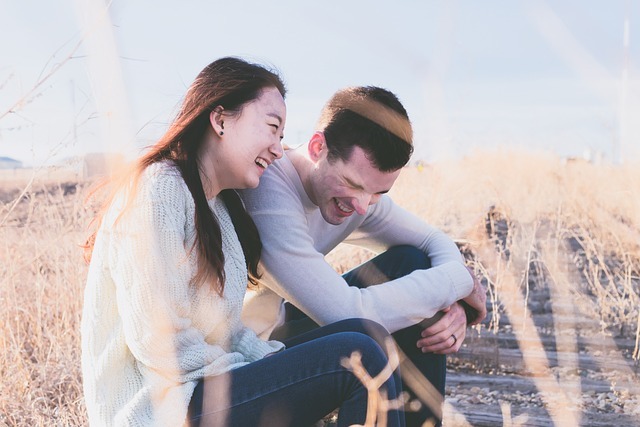 You can burn 50 extra calories if you laugh for 10-15 minutes a day. Watch your favorite sitcom, read a fun story or call a friend who always amuses you. This unfortunate habit leads to an unhealthy consumption of calories. Even if you want to combine watching your favorite dinner show, for lack of time, you just do not just add extra calories. When in office, choose the farthest toilet and, if you can choose the stairs instead of the elevator. On your way to the office, just get off the bus with an earlier station and continue to walk to the office. Stop calling and sending emails to colleagues working on the same floor with you. Get up from your desk, go to them and enjoy some direct interaction. Chewing every bite of food at least 20 times, not only will you have better digestion but you will also burn some calories in this process. 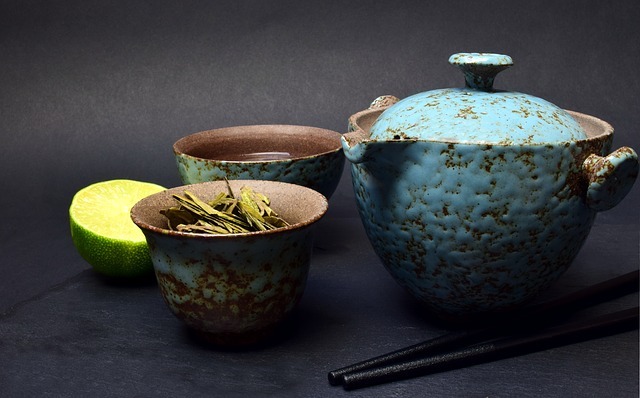 Besides caffeine, which, according to some studies, has been shown to accelerate the rate at which you burn calories, green tea contains polyphenols, chemical compounds of plants that accelerate metabolism. Research has shown that spicy foods increase the metabolic rate, which means you will burn more calories. Add some chili to food or, if you like exotic flavors, try a little wasabi or curry. – Set up some realistic goals – you cannot look like a supermodel overnight, right? Add every day healthy habits in your day by day. With time, you will follow them as a natural fact. – Change your chaotic diet with a balanced diet – I know you heard many times and you are aware of this, but let me remind you that it gives results! This change works not only in losing weight, but it will improve your general health, increase optimism and mood. This means that step by step you have to start introducing foods from all 5 food groups that underlie a healthy diet. 1. Fruits and vegetables – they create a feeling of satiety, are low in calories and fat. Not only are they incredibly beneficial to thin your waist, but they have plenty of minerals, vitamins, fiber and antioxidants that you need for long-term health. Aim for half of your meals to contain at least one fruit or vegetable. 2. Pure proteins – foods such as chicken, pork, beef, vegetable eggs, and tofu are excellent sources of weak, pure protein. Proteins help you prevent natural appetite after eating because it creates a feeling of satiety. You should have about 100, 150 grams of pure protein at every meal. 3. 100% whole grains – foods rich in 100% whole grains are a very rich source of fiber, but also vitamins or minerals. For example, quinoa, oats, millet, brown rice, whole grain pasta or bread can do wonders if you include them in your diet. 4. 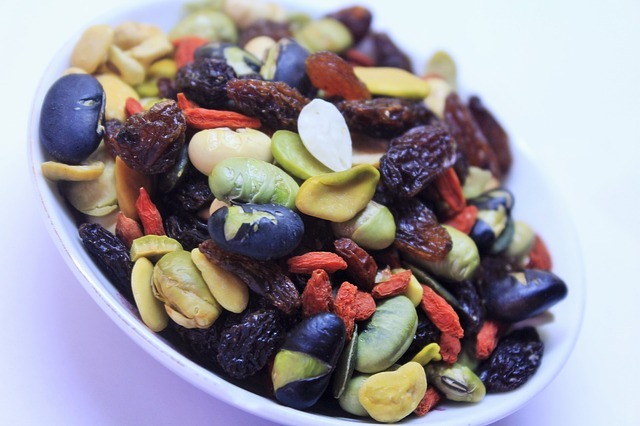 Healthy snacks – a good snack should not exceed 200 calories. For example, you could consume a quarter cup of nuts, 250 ml of Greek yogurt, a hard-boiled egg or celery with peanut butter, which is a wonderful combination of fiber and protein. 5. Drink plenty of water! I cannot tell you in words how important it is to drink plenty of water and to give up carbonated drinks that do not bring any benefit to the body! 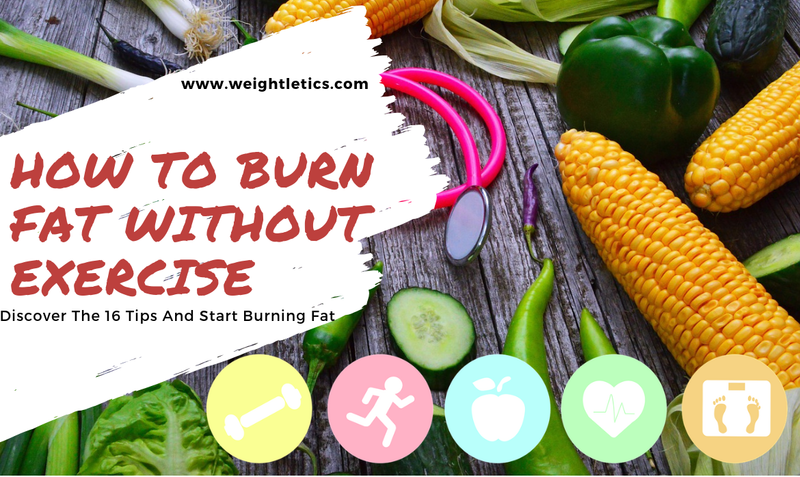 Do you think that you can burn fat without exercise? Have you tried? What are your results? I would be delighted to know about your results, just a leave me a comment in the comments section below. These are simple and yet profound recommendations. It does make sense, but with so much going on with life, everything seems automated. People kinda forget that instead of doing a certain diet, these simple regimen are easy to follow instead. Thanks for your post. I love your website with different color of fonts. I had a good experience. Thank you, Hanna, I’m glad you like it. Yes, nowadays, our lives are on the fast forward and we lack time to enjoy and take care of our bodies. Simple things can create big changes and positive ones. You’re welcome and I’m glad you find it useful. Thank you for your feedback regarding my website, very kind of you. In your “Buy A Pedometer” section, you mentioned about using Steps App. I assume it is a mobile phone app and installed in an android or iphone. I wonder how does it work, and how it actually monitors your actual steps. Can you elaborate more on that? Having lack of space for jogging and other exercises, I find difficulty and trimming down my tummy. I guess I gained this belly fat with my lifestyle and workstyle wherein I am fond of eating and drinking coffee in front of my computer. Now, I am challenged on how to trim down, and the way I am trying to get it rid now, is by climbing our stairs back and forth sometimes 20x a day. So, I’d like to learn more about that Steps App that you mentioned. I’m glad you asked about the StepsApps app. I’m using it for a couple of years now and for me, it’s very motivating. I set up my daily goal as 10000 steps which you can increase when you feel comfortable. The app is easy to install and configure. It’s a good replacement for an Apple Watch. The app counts your steps, but you have to keep in your pocket. If you have an old iPhone model, the motion sensor is missing. I don’t know about Android as I have an iPhone. You mentioned about lack of space to do exercises, I recommend you ‘Walk at home’ DVDs, you don’t need much space and you will see amazing results. Just let me know if you need more info in regards to StepsApp. Thank you for your comment and stay healthy! have you heard of KETOGENIC? They are believed to help reduce weight too, moreover ketogenic diets will also help monitor the content of what one is consuming and taking in. You’ve done a great job compiling this post together, easily highlighted points and informative write-up. Thanks for this great post. Yes, I did heard about the keto diet, in fact, I have two articles related to this subject. If you are interested, give it a read. Thank you for your kind comment, I’m glad you find it useful. Thanks, a nice day to you too. It’s a very interesting article! Everyone of us don’t even think on how many calories we can burn just putting attention to little changes in everyday life! I can immediately start following some of them: they don’t really effect the everyday routine. They are simply wrong habits and thanks a greater self-consciousness they can quickly change! Indeed, making small changes in our lives can improve our overall being. The tips can be applied immediately and you will see results in a short period of time. Thanks for this information, you have opened my eyes to many means to reducing fats. I don’t have fat but I have friends that are not happy because of the shape of their body. But this is the first time I’m hearing that watching too much of TV can make one become fat or eating while watching can cause more calories. Can you explain more on this? Thanks. You’re welcome, I’m glad you find it useful. Yes, the TV one is a tricky one. You watch TV and eat in front of the TV; if you watch your favourite series, most probably you will end up watching a full season. So you start eating pizza, popcorn, chips just name it. The intake calories are not consumed, we are only sitting or shifting from one corner of the couch to another. Here you have it, calories burnt tends to zero. Thank you for your comment and stay healthy! Thank you, I’m glad you find it useful. We should take care of our bodies by proper nutrition and lifestyle.